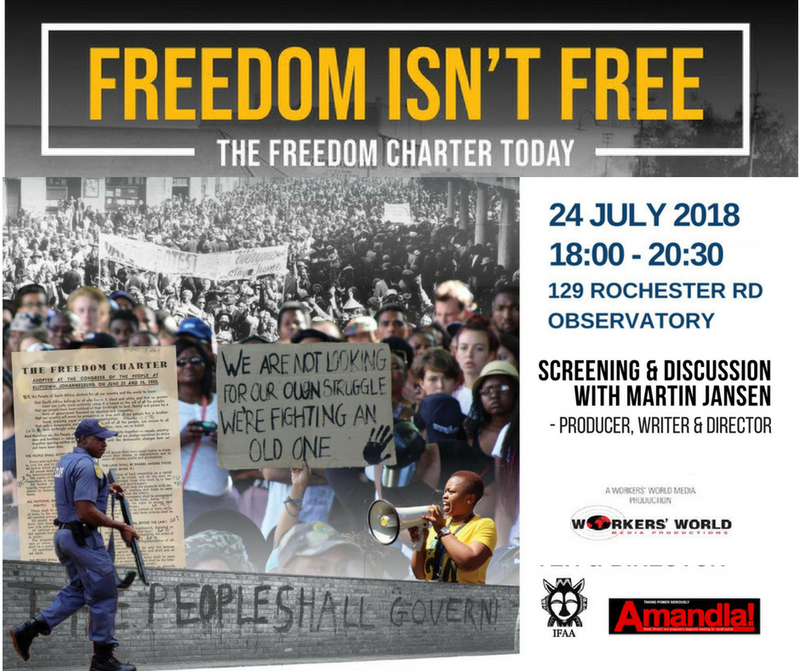 Join us on 24 July 2018 at AIDC (129 Rochester Road, Observatory) for a screening of Freedom Isn’t Free, the Freedom Charter Today and a discussion with Martin Jansen, the producer writer and director of the film. Freedom Isn’t Free challenges the ANC government with its failure to bring into being the words and resolutions of the Freedom Charter signed at Kliptown in 1955 when, from all over the country, Congress of the People delegates assembled to forge a new path for South Africa. Using excellent archival footage, intercut from that past into the present and informative commentary by new and older generations, the film demonstrates that for the overwhelming majority of South Africans, housed in sprawling shanty-towns, there has been little advance since apartheid ended – neither economically or educationally. 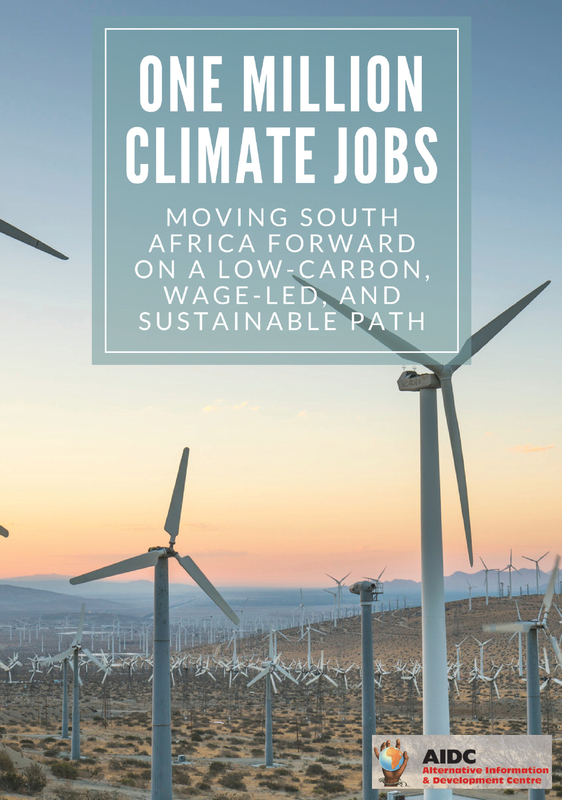 Noteworthy, too, is the journey of Cyril Ramaphosa, from founder of the National Union of Mineworkers (“It must be remembered that it was the mining industry… which pioneered the most repressive features of apartheid South Africa”) to billionaire and President, now tasked with leading South Africa into a new, dynamic era of social and economic change. From whatever persuasion or point of view they come, this is a film all South Africans should watch. 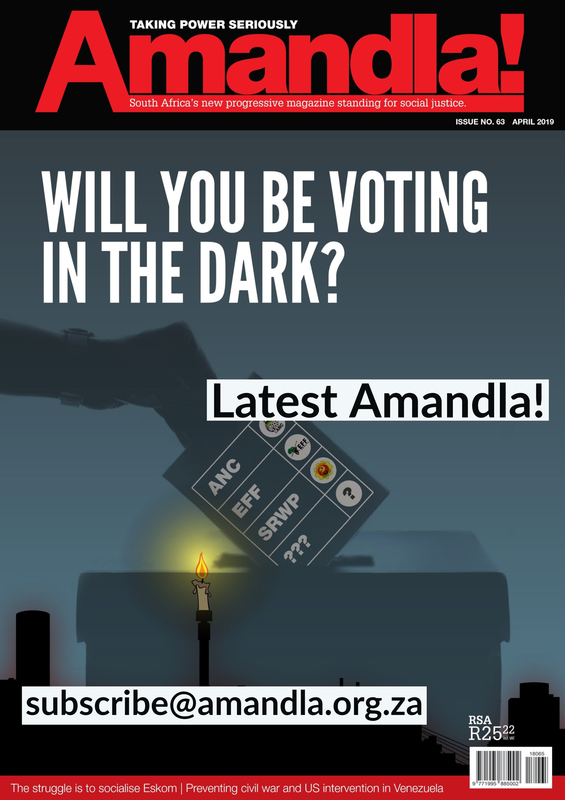 It will help them re-enter the debates of today’s South Africa and engage with its future.